The dreaded flu virus seems to be making its rounds again. Arm yourself with these tips on how to speed up recovery and alleviate those yucky symptoms along the way. Your nose is stuffy, your throat is scratchy and everything feels achy. Oh no! Is it flu season again? It seems like colleagues at work are taking turns to go on medical leave, and clinics are seeing long queues of patients with similar complaints. And then, worst of all, every parent’s dreaded nightmare plays out. 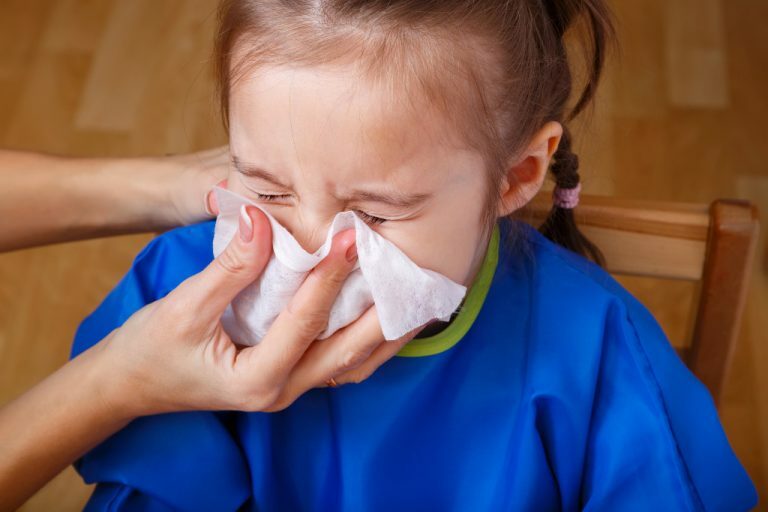 Your child comes home from school with a cough and runny nose. By the evening, he’s running a fever and you’re sending his teacher an SMS to let her know that he won’t be going to school the next day. On top of heading to the doctor, what else can you do at home to help junior bounce back faster? 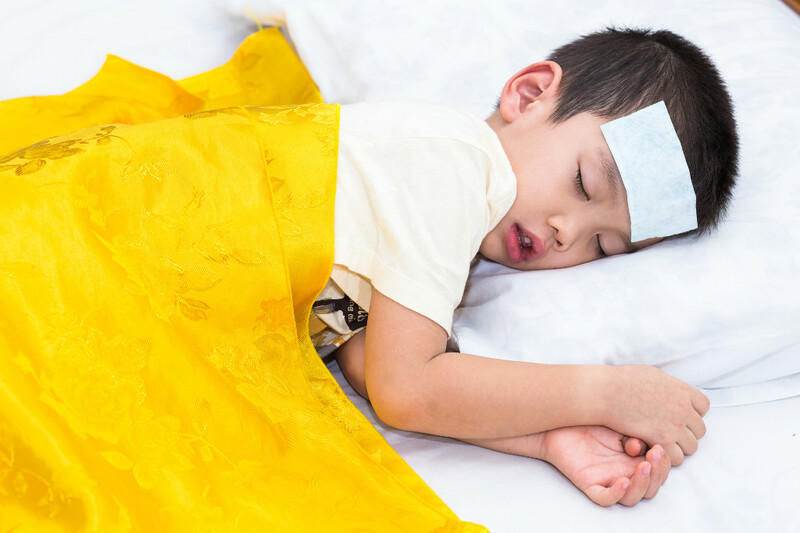 Here are five simple tips to help soothe your child’s flu symptoms and speed up his recovery. They work for adults too. Get well soon! 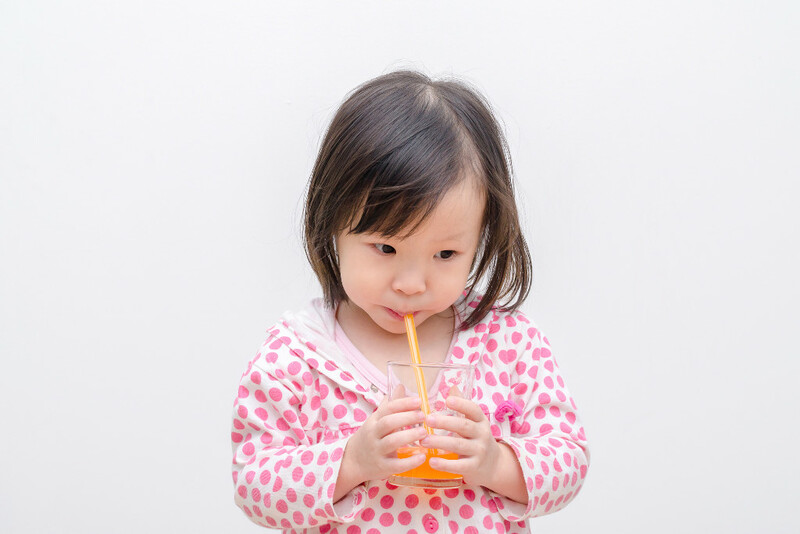 Ensure that your child drinks lots of fluids throughout the day. Fevers can lead to dehydration, which can escalate quickly in young children. Fluids also help to loosen mucus and make it easier to drain. 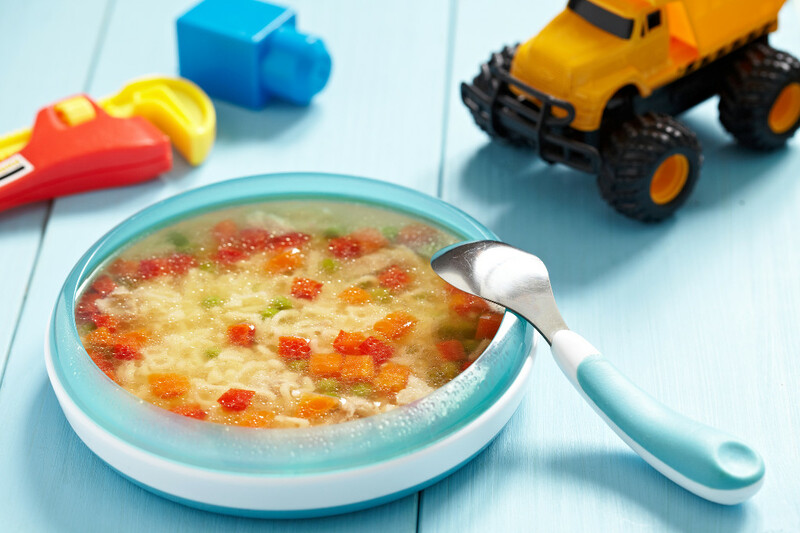 Cooled boiled water is best, of course, but if your child rejects plain water, get creative! Junior’s favourite drinks blended with ice could do the trick, or make colourful ice-pops out of them. Try fresh fruit juices – citrus fruits pack bonus vitamin C – or a comforting broth. Warm liquids help with throat discomfort by increasing blood flow to the area. Some mums swear by herbal teas containing chrysanthemum and wolfberries. Warm honey with fresh lemon juice can also be soothing, but do note that honey should not be given to babies below a year old. Introducing foods that help beef up immune systems can possibly reduce the length and severity of flu and cold symptoms. As grandma always said, chicken soup is best! Apart from providing healthy nutrients in a warm, soothing bowl, it helps with hydration too. Add mushrooms (they help boost healthy cell production), garlic (antibacterial properties), carrots (full of antioxidants) and alphabet pasta for a dash of fun. Instead of three regular meals, give smaller portions more times in a day. For a snack, try adding kiwi to a cup of yoghurt. A kiwi contains more vitamin C than an orange, and yoghurt is chock full of probiotic goodness. What about a smoothie? Avocados, blueberries and peaches are a great source of immunity-boosting antioxidants, and they’re yummy too! It’s important to follow the doctor’s orders, especially when it comes to medicine. Administer the medicines according to directions and make sure the kids complete their course of antibiotics, if prescribed. 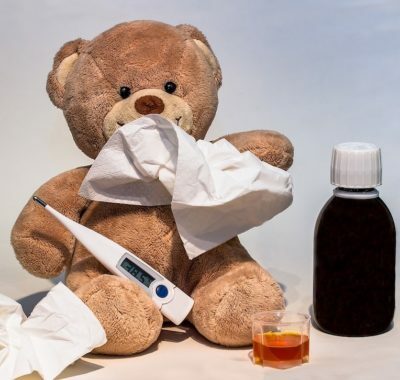 Mums of older children often give kids over-the-counter (OTC) meds like cough syrups and paracetamol (Panadol) for fever, which is usually okay if your child is generally healthy. However, if the pharmacist – or a well-meaning friend or relative – recommends something that your child has never taken before, please check with your doctor first. Never give children under six years old OTC medicines unless prescribed by a doctor. Also be careful when giving your child OTC supplements or TCM herbal tonics. It’s common these days for mums to purchase vitamins and other supplements online, but do be careful as some may not be approved by the FDA in the USA or Health Sciences Authority in Singapore. When in doubt, always check with your doctor first. You don’t want junior to suffer an adverse reaction! Take lukewarm – not hot or cold – showers. It’s a myth that bathing in icy water will help when you have a high fever. This will cause your child to shiver, which actually raises his temperature instead! Dress your child in light, breathable layers. This will allow you to add and remove layers when he has bouts of chills or fever. You can give a sponge bath and change out his clothes when drenched with sweat. Make sure the room is well ventilated and avoid covering junior up in thick blankets even if he complains that he’s ‘freezing’. This may raise his temperature even higher. “I use a light cotton blanket or simply hold her in my arms. It has the double effect of helping her feel warm and comforted at the same time,” says Melly. Did your mum pull out her trusty tub of Vicks VapoRub whenever you had the sniffles as a child? Well, apart from its strong menthol fumes ‘tricking’ the mind into thinking that your nose is not clogged, it’s not actually helping. In fact, Vicks VapoRub should never be used in children under the age of two as its ingredients have been known to cause seizures and other serious side effects. For older children, you can rub a little on their chest before bedtime; breathing in the fumes from a distance does seem to help some children sleep better and may reduce how often they wake up coughing. Better still, try sitting in a steamy bathroom or add a couple drops of 100 per cent eucalyptus essential oil into a humidifier at bedtime. This can help moisten the airways and ease stuffiness. For littler ones who have trouble blowing their noses, mums can help by gently ‘sucking’ it out with a suction bulb you can get at pharmacies. 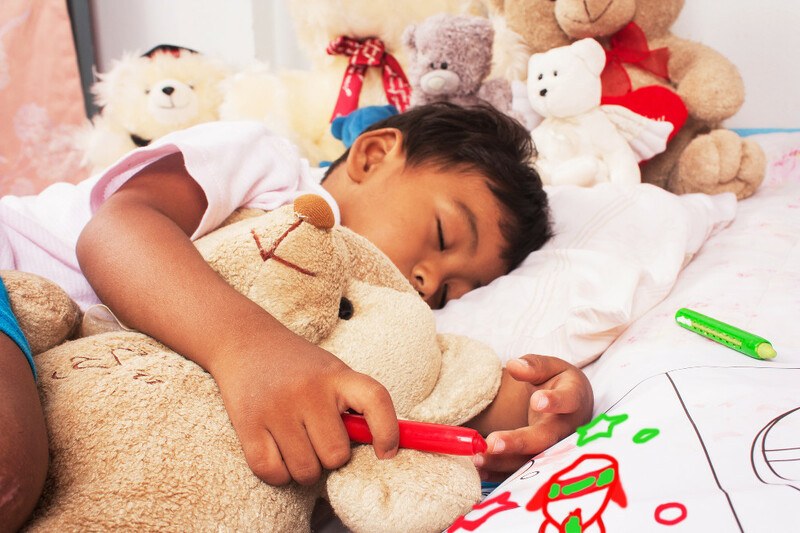 As much as possible, encourage your child to rest in bed or on the couch. Sleep is the body’s best time to repair itself and chase the flu bug away. In between naps, keep him plied with story books, board games and his favourite movies or cartoons. 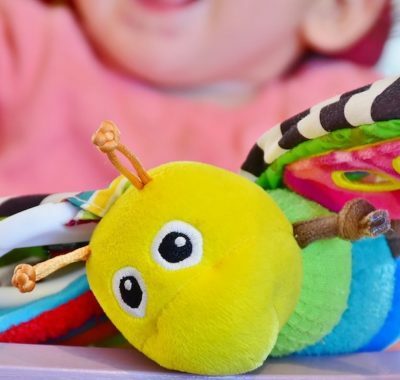 If your child is up to it, it’s also a great time to do fun and easy crafts together. For example, these pipe cleaner finger puppets and telescopic paper toys will tickle junior to no end, and laughter is the best medicine, right? Older kids can try their hand at string art or making felt toys. If your child is really feeling rotten and doesn’t feel like doing anything at all, here’s an idea. Secretly ask his favourite person (Aunt Gina? Grandma? Perhaps his best friend from school?) to give him a surprise phone call to cheer him up! Last but not least, while you’re busy looking after junior, don’t forget to take care of yourself and other family members. Wash your hands often, especially after handling used snotty tissues. Your child needs you healthy and flu-free too!